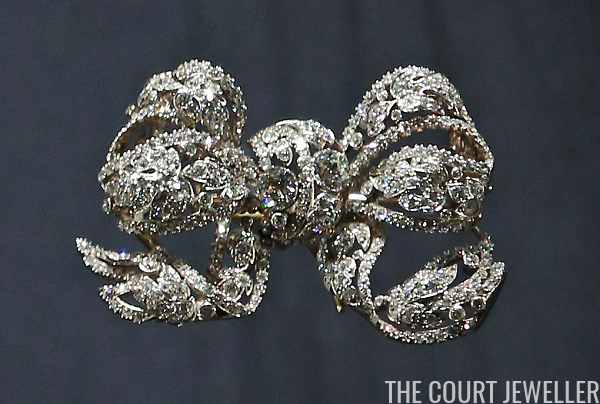 Hugh Roberts notes in The Queen's Diamonds that the bow brooch is very similar in design to one that once belonged to Empress Eugenie of France, a piece that was sold with the French crown jewels in 1887. Perhaps Carrington, the brooch's maker, took inspiration from one of the auction documents that circulated around the time of the sale? 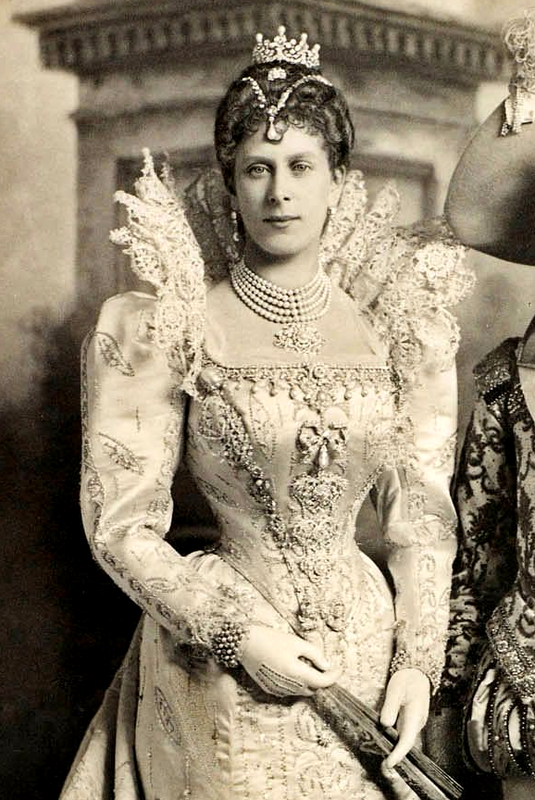 Although Queen Mary loved to tinker with her jewels, the Dorset brooch exists today just as it did when she received it in 1893. 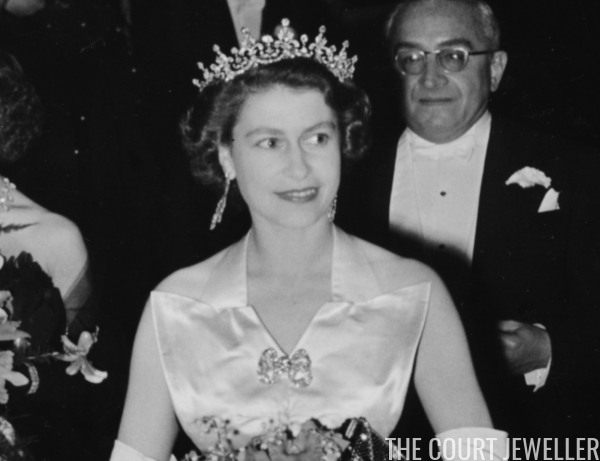 In 1947, the brooch was one of the jewels that Mary gave to her granddaughter, Princess Elizabeth, as a wedding present. 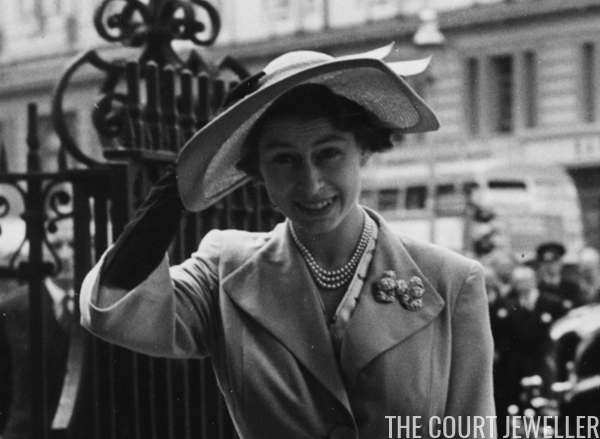 A year later, Elizabeth wore the brooch at the christening of her eldest son, Prince Charles. Elizabeth also wore the brooch at another important family occasion decades later: the wedding of her daughter, Princess Anne, in November 1973. 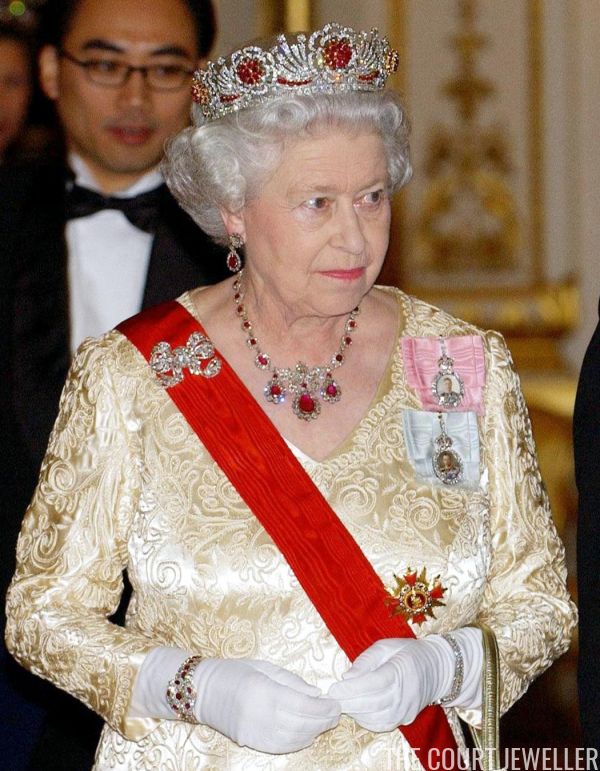 Since receiving it from her grandmother, the Queen has worn the brooch regularly. 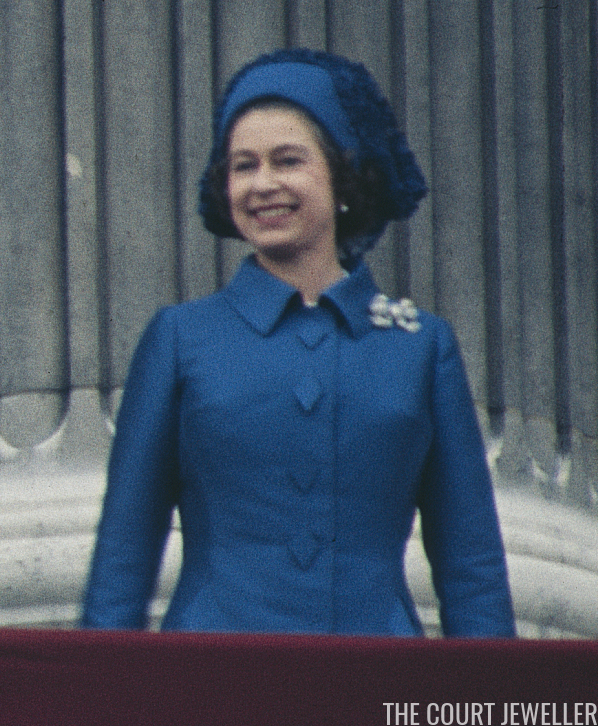 It's one of the larger bow brooches in the Queen's collection, but it's still used for everyday wear as well as for white-tie events. The Queen also frequently wears it for one occasion in particular: Remembrance Sunday. 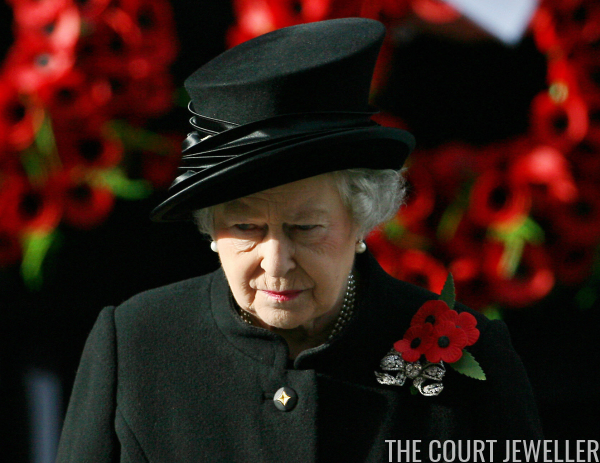 She uses the brooch to gather the stems of the poppy flowers that she wears to honor Britain's fallen soldiers.